Is Hawa Yakubu Out for Good? No doubt Madam Hawa Yakubu has become one of the biggest causalities of election 2004, having lost her Bawku Central seat in the most bizarre circumstances. According to initial reports, Hawa Yakubu was prevented from voting when she arrived at the venue thus, causing the security personnel to suspend voting for sometime. The disturbances in the constituency in which a security man was injured, stood the constituency out as Ghana's electoral hotbed. Hawa Yakubu has been a newsmaker in the constituency since 1992 when the first parliament of the Fourth Republic began sitting. She contested the seat as an independent candidate when the main opposition parties boycotted the parliamentary election after accusing the NDC of rigging the presidential election, which was held separately. 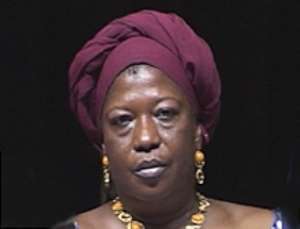 For four years, she was the lone voice in an NDC dominated parliament and stoutly defended what she perceived were issues of national interest. Her unwavering stance against human rights abuses made her an easy target by the government. Little wonder that during the 1996 all attention turned on Bawku Central, which was fiercely contested between Hawa and the candidate of the government. She lost the seat under circumstances that were described as arm-twisting. Undaunted, Hawa crossed carpet to the New Patriotic Party (NPP) and won the seat on the NPP's ticket. But her CPP antecedents meant she was not whole-heartedly welcomed into the NPP. She resigned as minister of tourism just one year in the seat because of bad blood between her and some thick-skinned NPP women, who were eyeing her job. In a sad turn of events, Hawa has lost her seat for the second time in twelve years, making the Bawku Central constituency the most unstable and unpredictable in the country. The question is, will she have the boldness to contest the seat again?